Air plants are the perfect low maintenance plant. They can live indoors or outdoors and without a lot of work on your part. 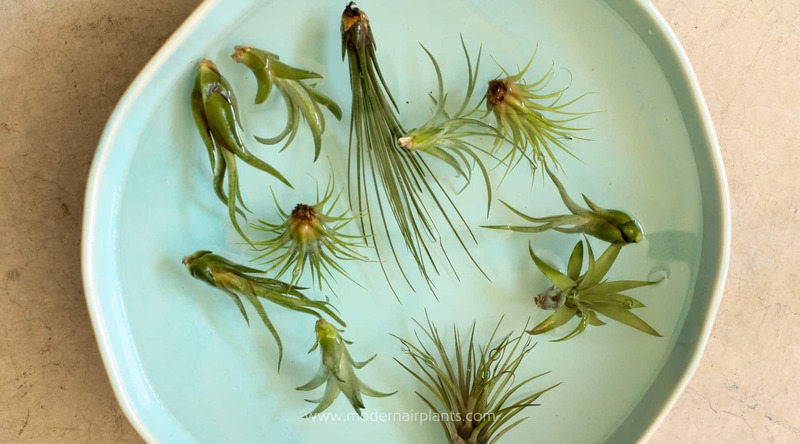 Once you purchase an air plant, you will first need to submerge it in water for about half an hour. Afterwards, you should gently shake your air plant to remove excess water. Afterwards you can simply set it where you want in order for it to provide you with a unique, yet beautiful form of foliage. 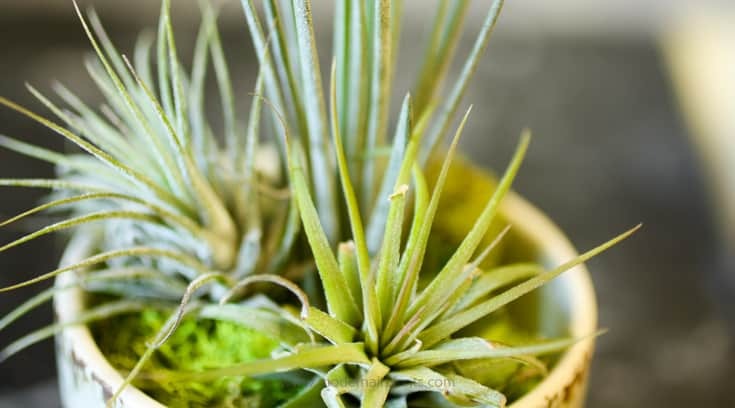 Here’s what you need to know about caring for your air plant to ensure that it has a long life. Many individuals that own an air plant get discouraged and suspect that they are doing something wrong because they don’t think their air plant is growing fast enough. However, it can take years for it to start to bloom and seem to grow very slowly. Many air plants do grow pups within their first year or so of life. Basically these are new sections of the plant that seem to constantly fill in areas of the plant that have started to die off due to age. An air plant needs a lot of light. This should be either from indirect sunlight or even fluorescent lighting. It is okay to put your air plant outdoors but it shouldn’t receive more than 2-3 hours of direct sunlight as it will zap your plant of all of its moisture. If the only area that’s available for your air plant receives a lot of sun daily, mist your plant regularly in order to keep it from drying out. Your air plant will need a sufficient amount of water to survive. They can survive for a long period of time without water, but they will die off eventually if they don’t receive enough. 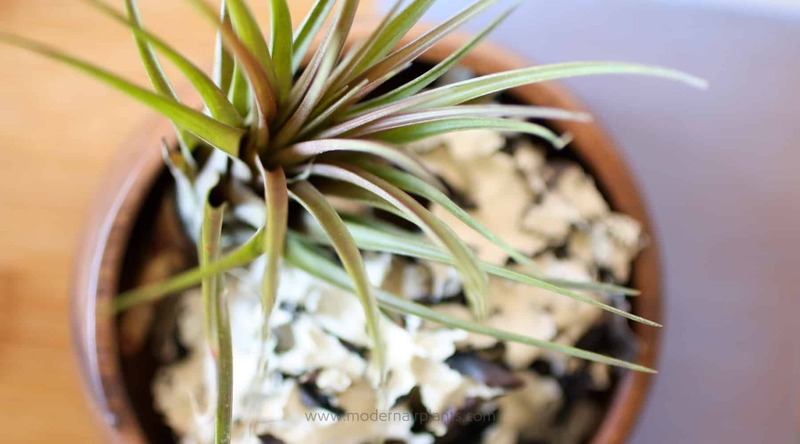 Realistically, you should water your air plants every few of days- or even once a week. You can water your plants by soaking them in a bowl of water. If your plant is blooming, don’t submerge it in water as these flowers tend to be rather delicate. Some air plants can tell that it needs water because the leaves will curl. It’s important to groom your air plant from time to time. You will notice that some of the lower leaves will dry out. You can easily pull them off. If the whole leaf hasn’t dried out and only the tip has, you can simply trim it off with a sharp pair of scissors. Trim it at an angle so that it looks more natural. Don’t worry if you trim too much as the leaves will regrow. You can also trim off roots that begin to grow as the roots do not absorb any nutrients or water. 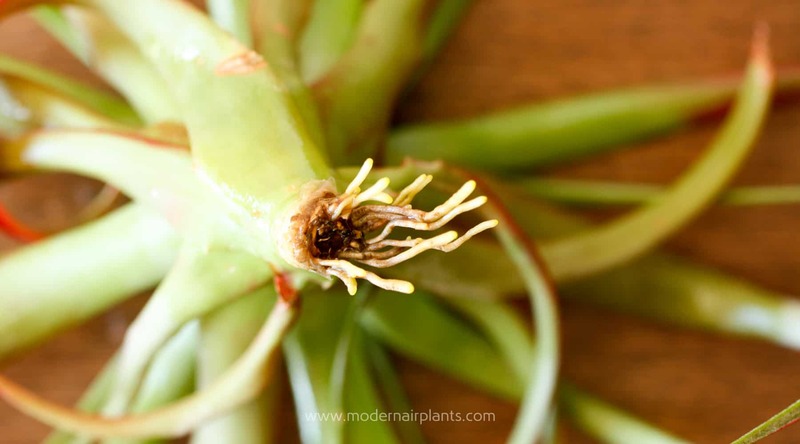 Grooming Air Plants: What to do with those roots. It isn’t absolutely necessary to fertilize an air plant. However, it can help keep it healthy and encourage blooming. If you do decide to fertilize your air plant, use a fertilizer that is water-soluble. As with lawn management, there’s no need to overdo it on the fertilizer as your air plant should grow just fine without it if you take care of it properly. If you’re like most people, you want to get the most for your money. Find out where you can buy healthy air plants that, with proper care, you’ll enjoy for years to come!